Yoga Eye Pillows are perfect to use when you are meditating or simply trying to take a nap! 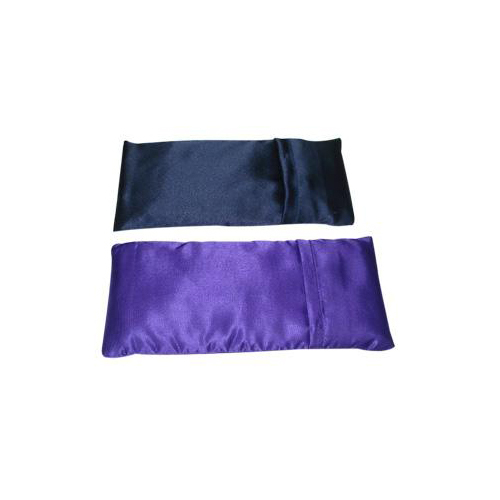 Our Yoga Eye Pillows come in two different colours and are lightly scented with lavender. The gentle outer material is handmade in India out of the softest silk available. Filled with flax seed and lavender flower petals, a well-known aromatherapy scent used for relaxation, each Yoga Eye Pillow measures 102mm x 203mm(4in x 8in).